Clairvoyant: The term clairvoyance (from French clair meaning "clear" and voyance meaning "vision") is used to refer to the ability to gain information about an object, person, location or physical event through means other than the known senses, i.e., a form of extrasensory perception. A person said to have the ability of clairvoyance is referred to as a clairvoyant or ("one who sees clearly"). Energy: The Human Energy Field, sometimes called the Aura, is a complex combination of overlapping energetic patterns which define the unique spiritual, mental, emotional and physical makeup of an individual. An individual's Human Energy Field is a part of the Universal Energy Field associated with that specific individual. 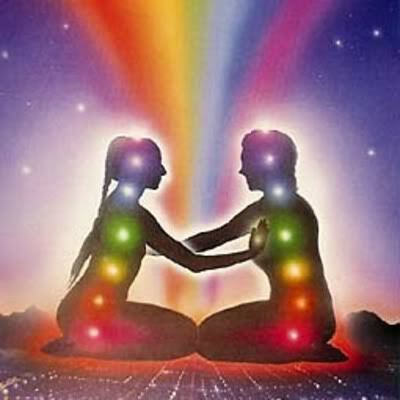 There are three basic components of the Human Energy Field: the energy meridians, the energy-centers and auric bodies. This spiritual anatomy is apart of the greater whole in connection with creator/source/god/all-that-is. Clairvoyant Intuitive Energy Reading is a term that was created in order to encompass the wide variety of what can occur within a reading, sometimes lisa will be guided to focus on a person's energy field and do a reading based on the state of their energy field, other times clairvoyant messages are more predominant, and intuition is a natural part of the process. Usually it is a combination of all of these things that will make up the whole of a reading. Clairvoyant intuitive readings may include a wide array of subjects such as: speaking with crossed over loved ones/ancestors, auric field & chakra/energy-center assessment, speaking with your UNCONSCIOUS self/subconscious programs, soul's guidance or clarity on specific currant circumstances and more...the potentials are endless! The price for a reading is $111 per hour. typically a reading will last an hour although you may request a half hour if you'd prefer. The cost of a half hour reading is $55. Price will be adjusted if we go over or under time allotted. **Energy Healing & related services are to be regarded as complimentary to traditional medicine and are not intended to be a substitution for professional medical advice.